You might be surprised to learn that careers in computer science are way more exciting, diverse, and creative than they often seem from the outside. (You probably won't be surprised to learn that these jobs are also super stable and lucrative, so there's that.) From hardware to software, building blocks of code to user-facing design, computer science majors have something for everyone, and it might be the right fit for you too. 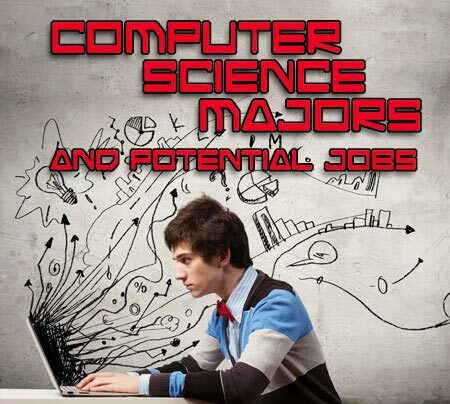 Keep reading to see where your interests line up with the different careers in computer science. PS You can also find colleges and universities that offer computer science majors here. In a world where the use of the computer is ubiquitous, computer programming is for students who want to learn how to make computers do the many different tasks that make them essential in today’s world and to understand the intricacies of computer software and web design. It is a major that requires a considerable expertise in information technology, as well as imagination and creativity to problem solve. It is to be distinguished from computer science, which is a more theoretical, “big picture” endeavor. Computer programming is a field in transition as web-based technologies grow more and more widely used. This is a hands-on course of study, largely found at the Associate degree level. Job prospects are excellent; the most skilled computer programmers are highly sought. Students can choose to join industry after obtaining a bachelor’s degree or to specialize further at the graduate level. Specific course work in computer programming and programming languages, including recursion, linked structures, searching and sorting techniques, stacking, and queues will be accompanied by other courses in computer science and discrete mathematics. In addition, students will study electronic commerce to understand how to construct a multifunctional website using HTML forms. Research projects and/or co-op internship placements will be required. This is the study of the theoretical foundation for the development of computers and their applications. Computer science considers the mathematical base for computers, as well as flow charting, diagramming, programming systems analysis, systems interface, software development, and related fields. An advanced background in mathematics is required, and an interest in working closely with data is helpful. In general, the B.S. program prepares students for advanced studies and research; the B.A. prepares for employment directly after graduation. Computer science is a field in the midst of rapid growth and innovation. Even as they learn foundational skills, students must look to the future to stay current in the area of study. This field of study focuses on developing basic skills in communication, mathematics, algorithmic reasoning and the underlying principles of computing. It is for the student who wants to be on the cutting edge of the computer industry. The aim of any information sciences program is to equip students with the ability to adapt to the changes of this fast paced and rapidly changing field. Job prospects in the field are good. Beyond general college requirements, information sciences will require course work in sciences and advanced mathematics, including symbolic computation and linear algebra. Students will then fulfill major requirements through basic information science courses before branching into various fields of interest such as human computer interaction, computer security, cryptography, programming language, real-time systems, or database management. Research positions and/or internships are often available. 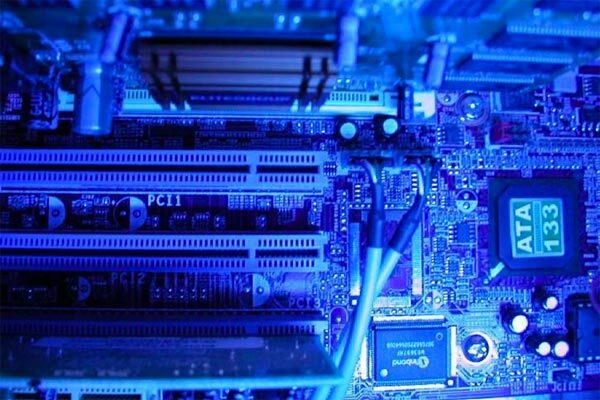 Sometimes referred to as “information technology” or “information communications systems,” management information systems prepares the student to apply information technology to solve business problems. It is a major for practical problem solvers who understand the power of information technology in the business setting which prepares students for a career in using computer-related skills to enhance business success. These skills deal with a variety of computer-based business problems: understanding telecommunications, managing office automation, performing systems analysis, maintain inventory control. The program will usually be found as an applied major in the school of business. Job prospects are good just about anywhere in the country. Students begin with introductory courses in computer science, physics, applied math, business administration, and engineering. Course work in the major tends to focus on building specific skills or solving specific problems in the workplace. This major is ideally suited for co-op placements or internships, and many students elect to go in this direction. Systems analysis is the study of the organizational structure and behavior of multiple sets of elements. Most frequently, the term is used to denote the study of computer languages and their possible interactions and applications. The major is a specialty within the broad area of mathematics and usually requires above-average conceptual skills and a background in advanced mathematics. The plan of study includes courses in advanced mathematics with selected electives in computer programming, computer languages, and advanced statistical methods. Few colleges offer a pure major in systems analysis at the undergraduate level; more often it is an option within a computer science or computer engineering program. Some colleges use terms such as “systems planning,” “computer systems,” or “systems science/theory” to describe their offerings. Others offer dual major programs in systems analysis/engineering or systems analysis/business administration. The field of available choices should be searched carefully.